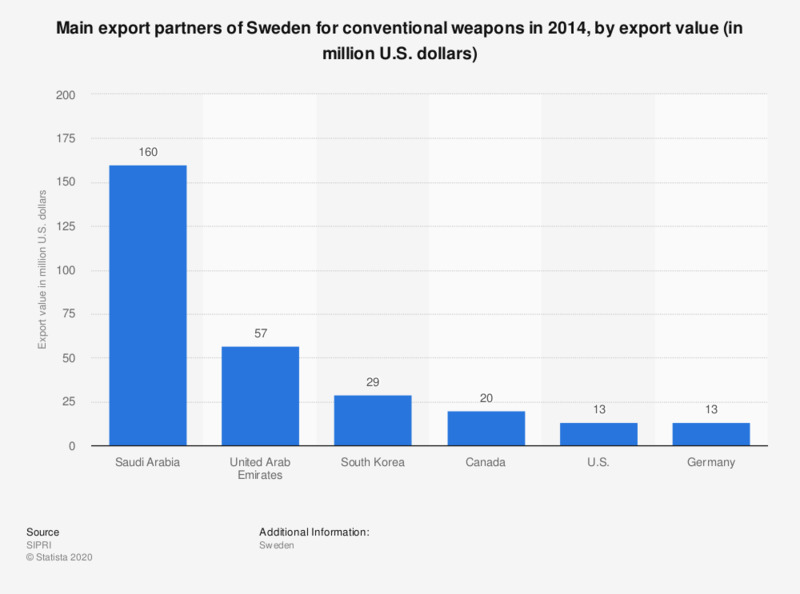 This statistic shows the main export partners of Sweden for conventional weapons in 2014, by export value. As of 2014, the value of arms exported from Sweden into Canada amounted to 20 million U.S. dollars. Statistics on "Swedish Armed Forces"
Which party do you think handles politics within Sweden's defense the best? To what extent do you trust that the armed force is able to defend Sweden's borders? Do you think that economic resources for defense should be increased, maintained at current level or decreased?